Last week the European leg of the WQS rolled into sunny Lacananu for it’s second leg and with a stacked entry sheet (particularly for such a low rated QS) and fun waves the comp provided four packed days of surf entertainment for the hoards who turned out to frolic on the beach. Leo is currently sat in the top spot on the WQS and is almost guaranteed to qualify at the end of the year for the CT and looks super at home in the aforementioned punchy beachies, combining seamless punts and strong rail turns with a virtually unshakeable heat strategy, gleamed from years of competing professionally. 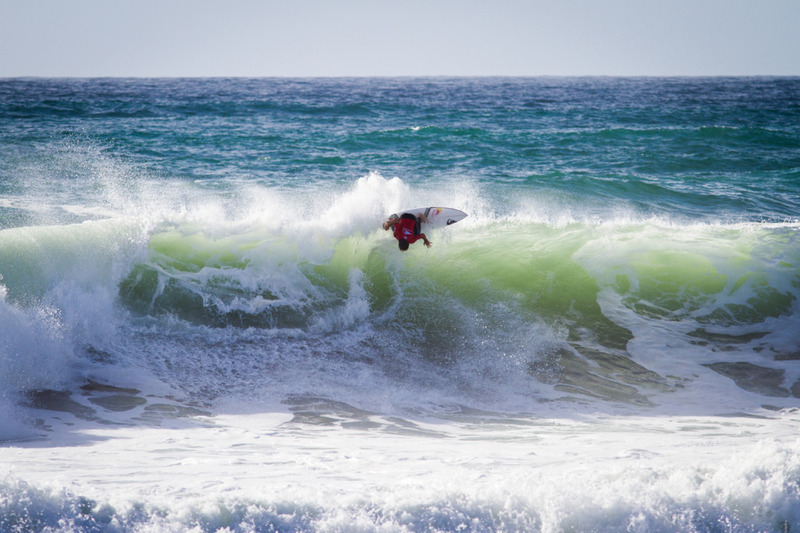 In Lacanau he came unstuck against eventual runner up Lucas Silveira (pictured below) in the quarters, but will undoubtedly be super hungry for a podium finish heading into Anglet. No matter what the waves were doing in Lacanau, Joan looked perfectly at home, identifying himself early on as the man to beat. Also sitting high up on the QS rankings and looking good for tour qualification in 2016 Joan will be heading into Anglet keen for points to bolster his campaign and with small conditions forecast for Anglet, it could well be big rail carves that the judges want to see, making Joan a clear favourite. One of the newest members of the growing Brazilian storm, previously more hailed for his free surfing prowess, Yago Dora, showed up and made a solid mark with a massive single wave score of 9.6 for one mental air in Lacanau, before eventually falling to three European powerhouses in Round 4. However he’s no slouch on rail either (see cover shot) and with the forecast as it is he could well be a force to be reckoned with in Anglet. Speaking of aerial prowess here’s 15 year old Justin Becrut, who’s air game is ridiculous. I saw him stick two of these with ease in one 20 minute surf and although he didn’t manage to progress past the second round in Lacanau, if he’s on the right waves the young lad from the Landes could certainly do some damage.